Light Space & Time Online Art Gallery announces a call for entries for the gallery’s 4th Annual “Nature” Juried Art Competition for the month of October 2014. Jupiter, FL, USA (September 25, 2014) — Light Space & Time Online Art Gallery announces a call for entries for the gallery’s 4th Annual “Nature” Juried Art Competition for the month of October 2014. The gallery invites all 2D and 3D artists (including photography) from around the world to make online submissions for possible inclusion in to the Gallery’s November 2014 online group art exhibition. Light Space & Time encourages entries from artists regardless of where they reside and regardless of their experience or education in the art field to send the gallery their best interpretation of the theme “Nature” by submitting their best representational or non-representational art. For this theme, “Nature” subjects would include geographical subjects, natural objects, wildlife, natural environments, or anything not created or substantially altered by man. The deadline to apply to this art competition is October 27, 2014. 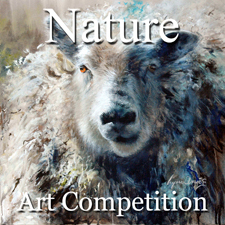 Winners of the “Nature” Art Exhibition will receive extensive worldwide publicity in the form of email marketing, 70+ press release announcements, 75+ event announcement posts, extensive social media marketing and distribution, in order to make the art world aware of the art exhibition and in particular, the artist’s accomplishments. There will also be links back to the artist’s website included as part of this award package. In addition to the above, artists shall also receive a digital Award Certificate, Event Postcard, Event Catalogue, Press Releases and “Leveraging Your Success” marketing materials if they place in this exhibition. Interested artists should provide to us with your best “Nature” art now or before the deadline. Apply Online Here: http://www.lightspacetime.com. This entry was posted in Arts, Entertainment, Event Announcement, Press Releases and tagged artists, light space, online art competition, online art exhibition, online art gallery. Bookmark the permalink.